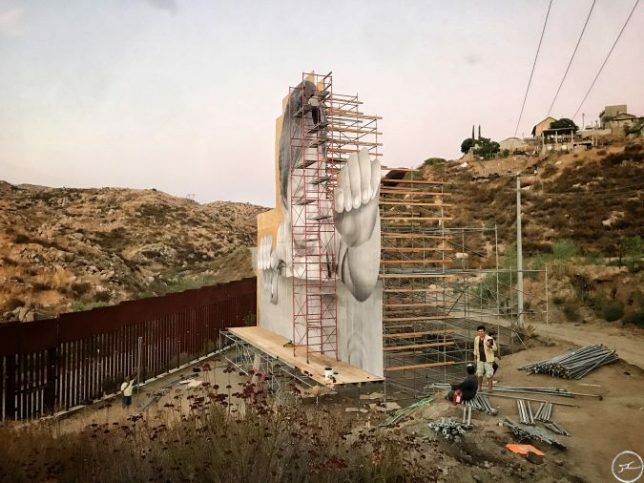 Set on scaffolding just across the rust-red fence marking the border between Tecate, California and Mexico, street artist JR’s latest installation is a towering statement on immigration issues in the United States. 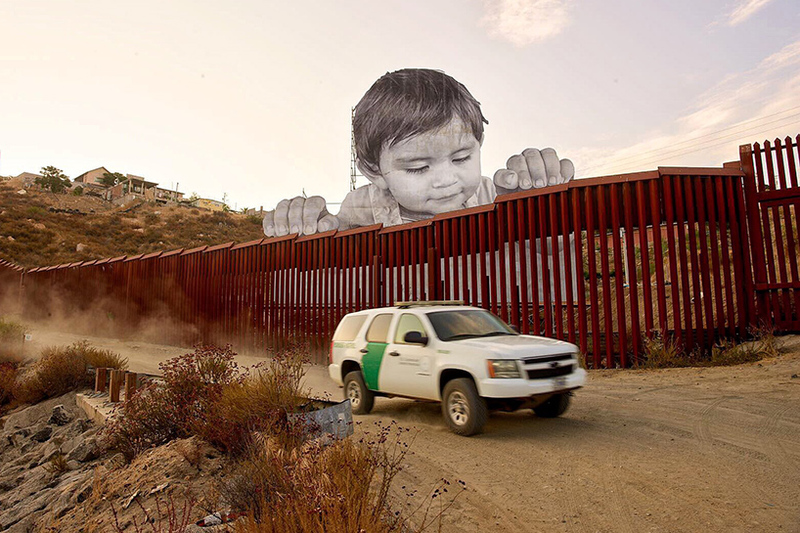 A one-year-old boy named Kikito peers over to the other side with all the innocence and naiveté of childhood, just days after the current U.S. administration announced its intention to end the DACA (Deferred Action for Childhood Arrivals) immigration program. 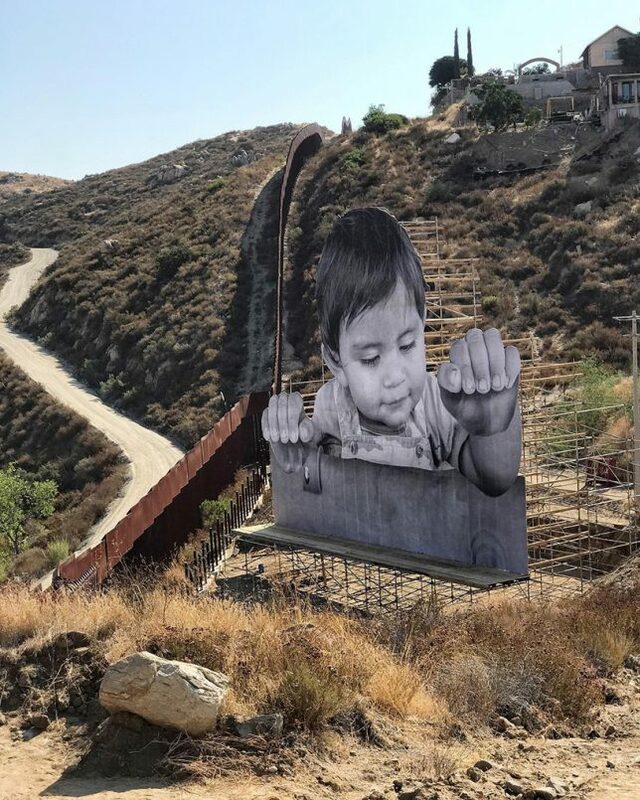 The site-specific work is precisely angled to create the illusion that the child is grasping the top of the fence, looking out onto the Californian terrain. 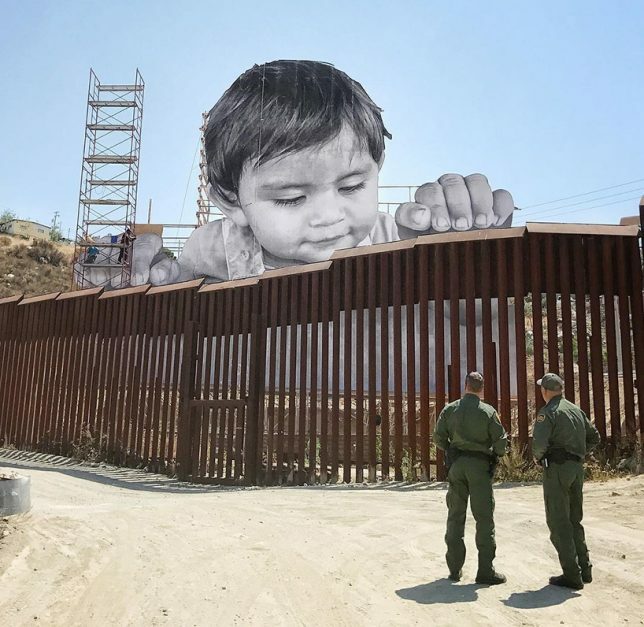 Like most of JR’s works, the 70-foot-tall image is rendered in black and white; the child is from the local community on the Mexican side of the border. Curated by Pedro Alonzo, the work asks onlookers to consider the fate of the 800,000 ‘Dreamers’ whose parents wished them a better future. The installation will remain in place through October 2nd, and you can pinpoint its exact location at JR’s website.